KEEPS BABY PROTECTED, WARM & COZY: The warm outer shell baby car seat cover is weather-resistant and insulates your child from wind, snow, ice and rain. Can be used from birth through to 12 months. SAVES MOM TIME & HASSLE: Are you a busy Mom? Do you want to be able to move quickly, snugly and securely with your baby between the house, the car and everything you need to get done in your day? The Cozy Cover keeps your baby warm and cozy as you are out & about without dressing your little one in multiple layers of time consuming bulky winter clothing or a snow suit. It’s also machine washable. Many Moms get more than one so there is one Cozy Cover on the baby and one in the wash.
QUICK EASY ACCESS TO BABY: Our unique dual zipper design allows for easy access to getting your baby in and out of the infant carrier. 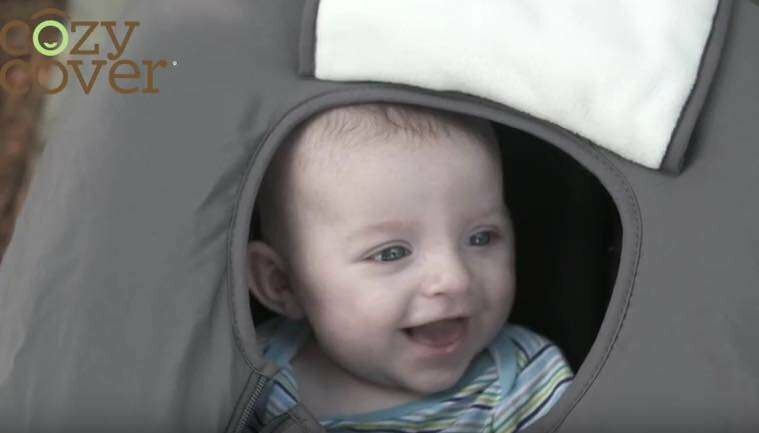 The breathable pull over flap shield baby’s face for additional coverage when needed in unfavorable weather conditions. 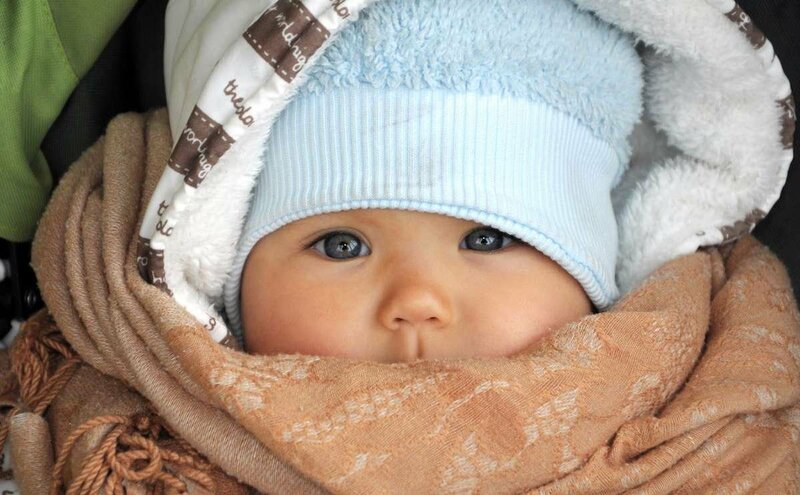 Protect your baby from the elements while out and about without having to use a ton of bulky clothing layers or fiddly blankets. Baby will be kept snuggly and warm inside the simple-to-use Cozy Cover, saving moms time and washing! Moms are often busy and on the go moving from house, car, shops and back each day. 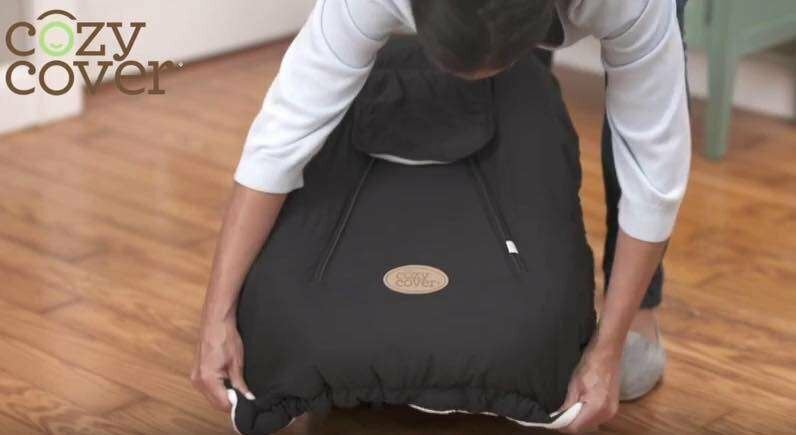 The Cozy Cover allows moms to carry baby quickly, easily and most of all warmly, from each location. Everything gets done, and baby stays happy! Keeping babies snuggly and warm for over 25 years, it’s not hard to see why Cozy Cover are the industry leaders in safe car seat covers. The ultimate practical and stylish car seat cover, Cozy Cover allows you to leave the house quickly and keep baby warm (without the use of bulky clothing and blankets) while travelling from place to place. Thousands of happy babies and families love the Cozy Cover because it allows baby freedom of movement while still keeping baby warm. A baby not restricted by layers of bulky clothing or heavy blankets is a more smiley baby, with often less tears. Plus, securing baby in the car seat is a breeze without any of that bulk or need to re-adjust straps. A happy baby, equals happy mom! Mountains of washing seem to become a full time job as a mom. Drool, puke, poo explosions, the list goes on. The Cozy Cover saves on adding more washing to your to do list. Less clothing, less blankets - means less washing when these accidents do occur. Fully machine washable if needed, most moms have two Cozy Covers at home so one can be washed while the clean one is in use. 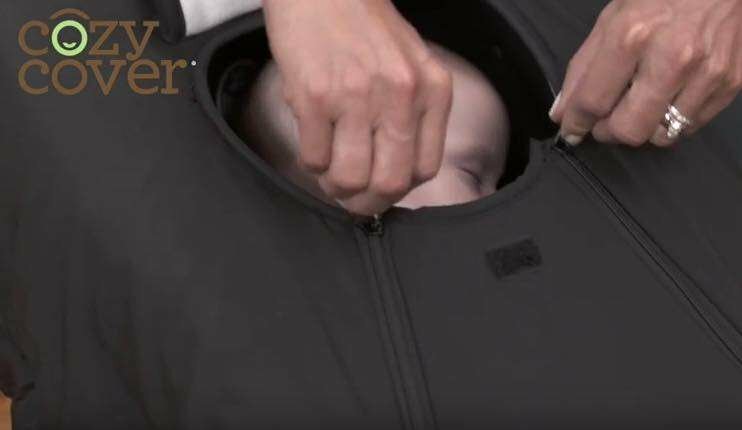 Our clever dual zipper functionality allows for easy and quick access to getting your baby in and out of the infant carrier. Baby’s face is visible at all times or can be shielded for extra protection by the breathable, pull over flap when needed. The original. The best. That’s why over 5,500,000 moms have now kept their babies safely and securely warm with our Cozy Covers. 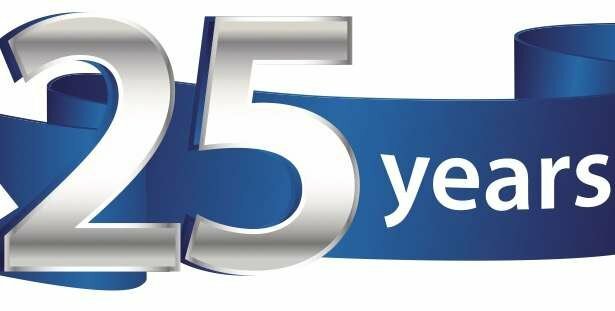 Supplying quality covers since 1992, we love that there are 2 generations of Cozy Cover Moms out there. Women who’s moms had one when they were a baby are now buying it for their babies to keep warm. The clever 'Shower Cap' style Elasticized edge design makes fitting your Cozy Cover so quick and simple. It’s fits in seconds, by gently stretching and pulling the elasticised edges over your infant carrier, revealing as much or as little of baby’s body as you’d like with the dual zipper flap. Most importantly, it goes straight over the child safety straps in your seat or carrier, making it super safe and no need for adjusting - getting going is a breeze! The Cozy Cover Infant Car Seat Carrier is an affordable, stylish and safe option to keep your bub warm when travelling, fuss free. With an ever-growing range of on trend styles and colors, designed with the busy mom in mind, the Cozy Cover really does take the hassle out of travelling. As a mom, your time and the comfort of your child is worth everything - make your life easier and grab yours today.